The largest book festival of Ukraine, which is held in Lviv, has turned 25. That forum has already become a significant cultural event not only for this country, but also for the whole of Eastern Europe. To mark the anniversary, President Petro Poroshenko visited Lviv recently. Let us recall that the launch of a new book, entitled Ave: The Centennial of Pavlo Skoropadsky’s Hetmanate and published in Den’s Library series, was featured as an event of this year’s Publishers’ Forum in Lviv. Meanwhile, Dnipro is finishing preparations for the opening of its own cultural forum – the new Book Space International Book Festival. The program of this event includes book fairs, launches of literary novelties, poetry readings, exhibitions, lectures, and musical performances which will take place at several venues in the city center. Also, there will be opportunities to communicate with authors from around the world. All this awaits visitors to the Book Space festival at the end of the month, namely on September 28-30. Books will be available for sale at book exhibitions to be held in the adult and children’s areas. The festival will take place at several locations: near the Dnipropetrovsk RSA building, in the building itself, and next to it in the Rocket Park and the Heroes Public Garden. The music stage will be located in the garden of the Museum of Ukrainian Painting. Each festival day will end with concerts to be held there, which will be performed by DZ’OB and Quarpa bands and participants of Mariana Savka’s V Sadu (“In the Orchard”) jazz project. The festival is organized by the Dnipropetrovsk RSA and the Cultural Capital program of the Dnipro City Council. 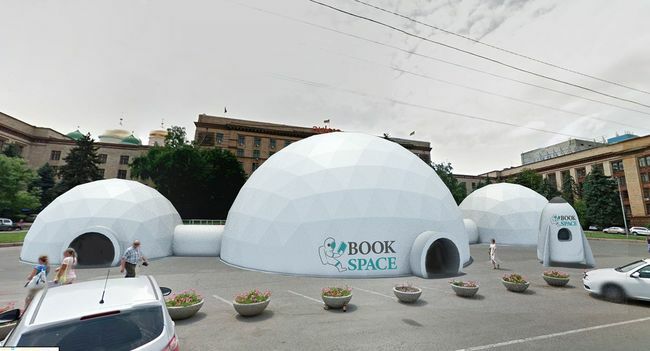 The Book Space event will last for three days, the entrance to the festival will be free. The very first day of the forum will see the launch of books from Den’s Library series. In particular, we will launch our newest book, entitled Ave: The Centennial of Pavlo Skoropadsky’s Hetmanate. Den/The Day’s editor-in-chief Larysa Ivshyna and the authors who contributed their essays to the collection will present it to the reading public and the culture community. The detailed program of the Book Space International Book Festival is impressive in its scale. It has been published on a dedicated page on the Facebook social network and at https://bookspacefest.com/ Home/Program.